ATWOOD — Gordon N. Crowdis, 79, of Atwood, passed away May 17, 2018. Baalmann Mortuary, Atwood, is handling arrangements. Mark W. Brandt, 51, of Salina, passed away May 13, 2018, at Smoky Hills Rehabilitation Center. Old Mission-Heritage Funeral Home, Hutchinson, is handling arrangements. 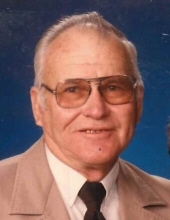 McPHERSON — Clifford Earl Karraker, 88, passed away Tuesday, May 15, 2018, at Cedars House. Glidden–Ediger Funeral Home, McPherson, is handling arrangements. Todd Andrew Baird passed on May 16, 2018. Rowena M. Gannon, 86, of Rossville passed away Wednesday, May 16, 2018 at the St. Marys Manor. Esther Marie (Bauer) Koerperich, 77, of Hiawatha, passed away Monday, May 14, 2018, at Maple Heights Nursing Home.